With the Standard Chartered’s Premium Cashback Debit Card, earn 5% cashback on all your spends across dining, shopping, and more. Live the life you always envisioned and enjoy great additional savings with zero annual fee. Enjoy a host of discounts and offers across dining, shopping, travel and much more with the Standard Chartered The Good Life programme on your debit card. Gross Negligence is not covered. Any claim due to deliberate breach of law would not be payable. The cover is applicable only to active cards (An active card is defined as a card with one transaction / activity on any POS/e-commerce terminal in last 30 days from the date of loss/date of incidence). Claim should be reported by card holder to Royal Sundaram within 30 days of the date of incidence. In the event of accidental death arising out of Aircraft, schedule Airlines etc. as defined under the policy the claim would be payable only if the ticket is purchased from the covered card. Pilots, armed forces, police, air crew are not covered. Cover against Standard Fire & Allied perils and theft or accidental damage in residential premises of the cardholder. Cover valid for items purchased on debit cards only. Cover is valid for 90 days from the date of purchase. Jewellery and perishable items are not covered. Earthquake and Terrorism are not covered. Mysterious disappearance is not covered. Card statement showing the transaction for item purchased. Final Police report, Non-traceable report issued by police authorities. Advance letter of subrogation on a Rs.100/- non-judicial stamp paper. Admission/Discharge/Death summary issued by the hospital authority. Medical records pertaining to hospitalisation. English translation of vernacular documents. Legal Heir Certificate / Succession Certificate or Alternate set of legal documents sought in the absence of nomination. 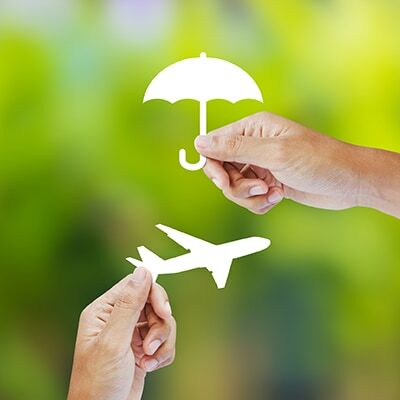 Get up to INR 1,00,00,000 air accident cover and purchase protection worth INR 55,000. Lost your debit card? You’re never too far from help. Access Visa’s comprehensive Global Customer Assistance Service (GCAS) whenever you travel overseas. Enjoy faster checkouts, secure payments and complete freedom from cash, when you transact with a contactless debit card. Now enjoy enhanced security on your debit card transactions online, using Mastercard secure OTP verification. Enjoy a wide range of instant payment solutions like UPI, BharatQR, Bharat bill payment solution (BBPS) and Samsung Pay. Use your debit card globally to withdraw cash and make payments across the Mastercard network. What are the benefits of the Premium Cashback Debit Card? 5% cashback on all spends above INR750. Daily limit of INR 2,00,000 for purchases and INR 2,00,000 ATM withdrawals. This is subject to the balance in your account. Visa Global Customer Assistance Services. Click here to know all offers. What are the fees for holding this card? There is no annual fee for the Premium Cashback Debit Card. Where can I use the Premium Cashback Debit Card? You can use this card to access your account whenever you want, shop at over 24 million Visa merchants and withdraw cash from up to one million Visa ATMs worldwide. Can I convert my existing debit card into a Premium Cashback Debit Card? Yes. Contact 24-hour phone banking or your nearest branch for details. Click here for the hotline numbers.